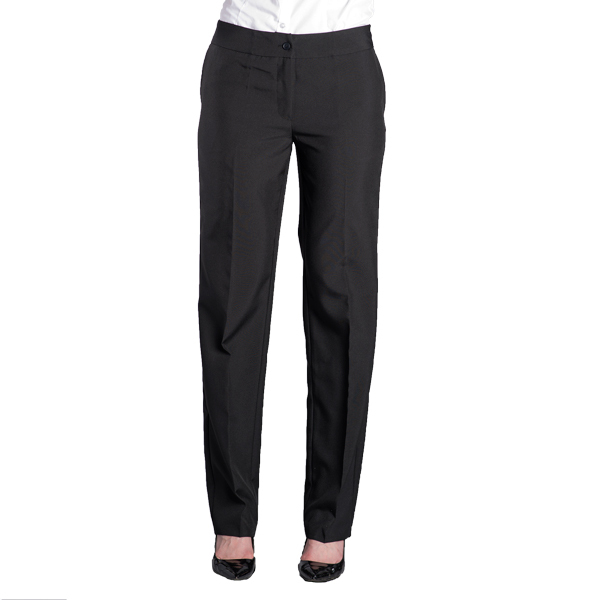 Our Women's Gourmet Plain Front Pant is made of a washable 100% poplin polyester. 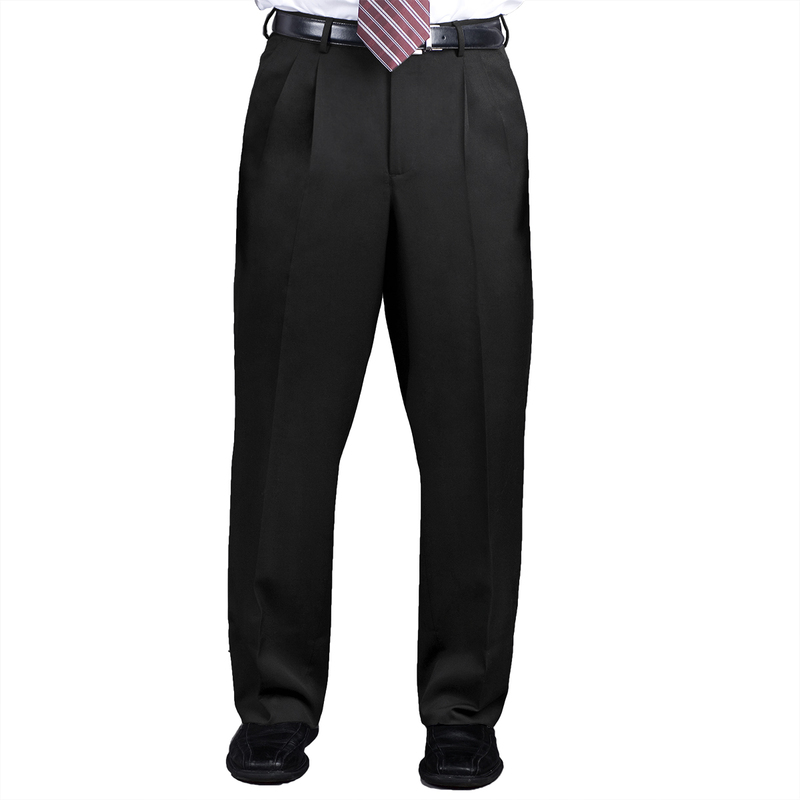 They features a wide waistband, a button front closure, is delivered unhemmed to 34″ and can be customized with satin side seams for a minimal extra charge. Available in black.